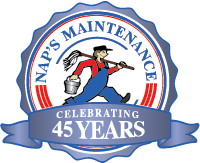 At Naps Maintenance Service, we’ve got the specialized equipment and facilities you need for cleaning jobs, and we’re experts at auto detailing! If your car has seen better days and could use a little bit of extra TLC, we offer the best services—and the best prices—around. 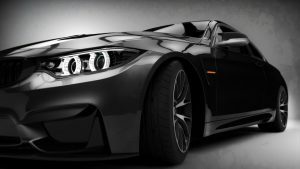 Read on to learn more about the auto detailing services we offer here at Naps Maintenance Service. We take pride in providing the very best auto detailing services. When you choose us to take care of your vehicle, we pledge to exceed your every expectation. Auto detailing isn’t just for looks. A car that’s properly maintained and detailed will last longer than a car that is not regularly cleaned. Routine detailing helps avoid rust, corrosion, and the chipping of paint, and it protects your vehicle from the elements. Wash – The first step to a beautiful, clean car is a comprehensive wash. Using advanced, streak-free detergents that are powerful enough to blast away the toughest dirt—yet gentle enough to avoid paint or undercoat damage—our team of specialists will wash your entire car from bumper to bumper! Wax – A fresh coat of wax is the best way to protect your car from rain, debris, and the sun, and it can help preserve the integrity of your paint. Using your choice of advanced waxing compounds, our team will apply an even, high-quality coating to your vehicle, which will keep it looking brand new for weeks to come. Interior/Exterior Cleaning – From wheel wells to tires, undercarriage, lights, and more, we’ll go over the exterior of your vehicle to remove dirt and grime wherever we find it. Not only that, we’ll take care of your interior, too! With vacuuming, carpet cleaning, and textile/leather cleaning services, we’ll make sure your interior looks better than ever before. Don’t wait; restore your car with professional auto detailing from Naps Maintenance Service! Want to learn more about what we do? Contact us online, or give us a call at (508) 226-4492. We look forward to hearing from you!